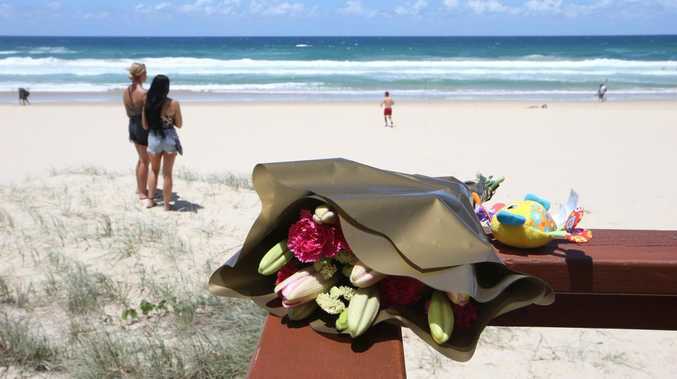 POLICE are investigating if a homeless couple well-known to Child Safety officials drowned their baby girl at Surfers Paradise or whether she was killed earlier at Tweed Heads. The tragedy has put the spotlight back on the embattled Department of Child Safety which has previously come under fire over the deaths of Queensland children, including toddler Mason Lee and Tiahleigh Palmer. A passer-by found the nine-month-old girl naked in the sand on the water's edge at the end of Staghorn Ave about 12.30am yesterday. Police and paramedics rushed to the scene but the infant could not be revived. A man, 48, and woman, 23, were arrested later at Broadbeach and were last night being questioned by detectives. The Homicide Squad is involved in the investigation. Sources said DOCS was familiar with the couple who were living in a tent in parks up and down the Gold Coast with the baby. They are believed to have had a history of domestic violence and alcohol abuse. Gold Coast Detective Inspector Marc Hogan said the couple were "known to police". Child Safety Minister Di Farmer refused to comment, citing privacy. But the Opposition said it would be "incredibly disturbing" if her department knew about the family and had failed to act. "What happened to this little nine-month-old girl was an absolute tragedy," LNP deputy leader Tim Mander said. "We will await the outcome of police investigations, but if the parents were known to Child Safety and nothing was done, then that needs to be made public." Premier Annastacia Palaszczuk said: "I want answers. The Queensland public want answers, and we want those answers as quickly as possible." Reverend Jon Brook, of the St John's Church crisis care centre in Surfers Paradise, said he believed his service had tried to help the couple. 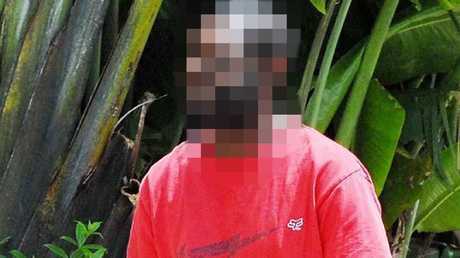 "If it's the couple I believe, they were living as rough as it gets - in parks, toilet blocks, under bridges, wherever," he said. "Our service tried to help them to get housing about a year ago outside of the Gold Coast because affordable accommodation here is so hard to find. "This is just a terrible tragedy. I feel for that poor little child." 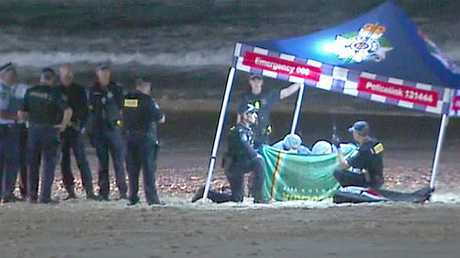 The father of the child who died at Surfers Paradise beach overnight. Rev Brook, whose service helps feed and accommodate about 100 people a day, said homeless families were not uncommon on the Coast "but they don't tend to live as rough as what this family did". 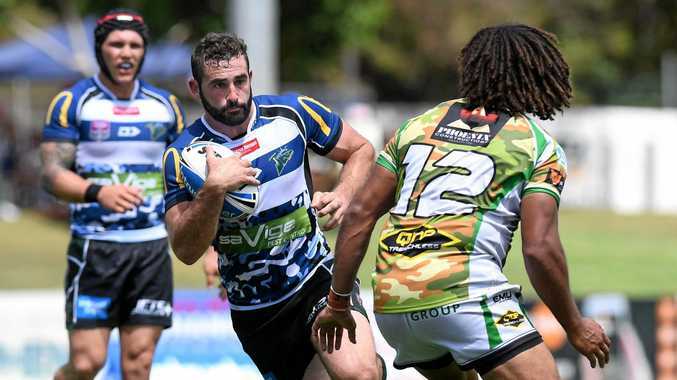 "They tend to live in vans or cars or couch surf with relatives but they usually have to relocate from the Gold Coast because it's too expensive," he said. "It's a very tragic situation but it's not surprising because support services are just stretched to the max. There just aren't enough resources to provide the care that's desperately needed."